TAG’s Level Up! workshop series continues with another Critical Hit alumnus Kim Hoang. Kim will teach basic Construct 2 and help you explore the magical world of Dating Sims and visual novels. The workshop will take place on Monday, February 9th at the TAG Atelier Project space (TAP). Please don’t forget to register! Do you have a weird and great idea for a dating sim or a visual novel? Want to explore a new interactive medium to tell YOUR stories? Are you an artist or a writer who loves games, but doesn’t know where to start? 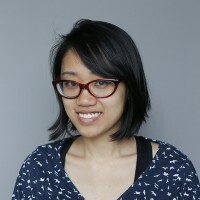 Join comic artist and Critical Hit alumnus Kim Hoang and figure it out together! Don’t forget to bring a laptop or share one with a friend. -Use pre-made art and sound assets in a step-by-step tutorial — walk through the hardest part of the process without needing to bring anything but your laptop. If you want to bring in your own artwork, that’s also totally okay! Just follow our guidelines. -Discuss game design variance in dating sims, and how to implement them. -Create your own unique dialogue and narrative on the fly, and share your creation with an interested group. -Meet potential game collaborators! Girls be ambitious! -Easy for beginners, and especially ideal for artists! No knowledge of coding needed, but you will acquire some general programming logic, should you want to learn more later. Download & install Construct 2 & assets. It’s Windows only but Macs can also run it through with a Virtual Machine. Installing Construct 2 on Macs Guide.